Touchdown proudly presents another release. We thought it was about time to re-release the concert from November 14, 1970. That’s something we wanted to do for a long time. The recording we got was carefully remastered and and sounds much better than on the former release „Forum of Inglewood“ from fourteen years ago. 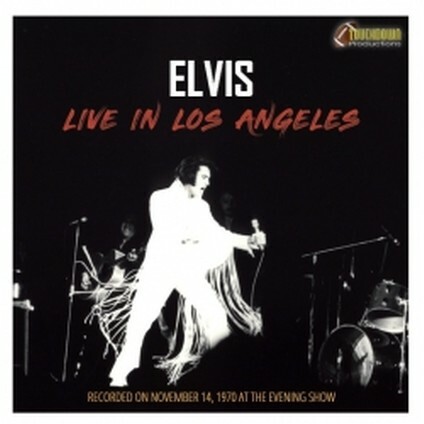 Elvis was on fire on November 14, 1970! The concert includes many, many highlights, for eg. the only known live version of ‘Trying To Get To You’ in 1970! Listen to superb versions of ‘You’ve Lost That Lovin’ Feelin’’, ‘How Great Thou Art’ and ‘Bridge Over Troubled Water’. We worked hard to improve the sound quality and hope that you'll enjoy the result as much as we do. As usual the CD is accompanied by a full-color 16 page booklet with lots of rare photos and information on the event itself.